Without a doubt, the Atkins Diet is the most controversial weight loss plan of all time….Whether you love it or hate it, anybody with a few extra pounds on their body knows about Atkins. 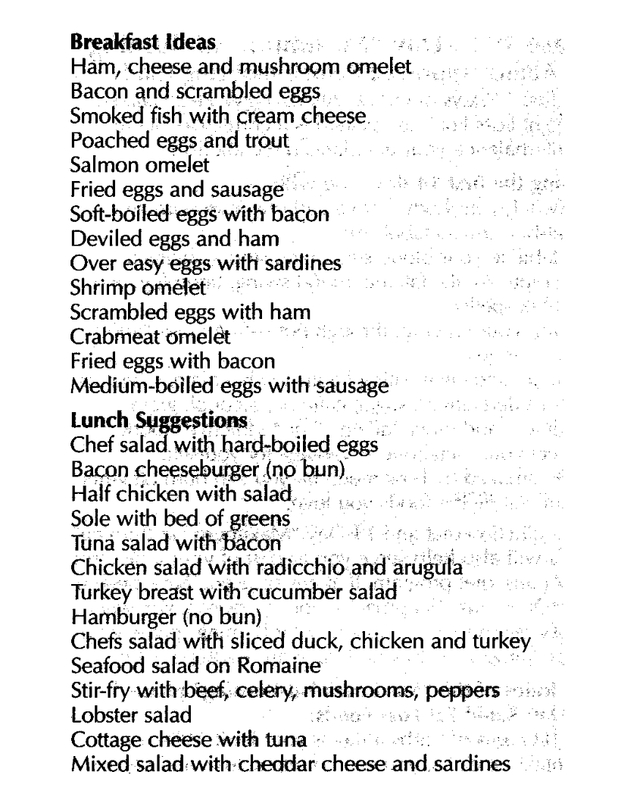 They know that Atkins is low carb. They know that Atkins gets rid of body fat faster than any other diet. and they probably believe that it probably kill them by clogging their arteries with cholesterol. They also know that Robert Atkins got very rich selling low carb books and videos and processed Atkins-approved food products. Q. And why did old Doc Atkins get rich??? 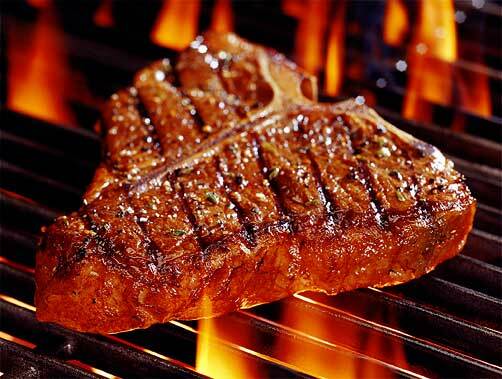 No other diet comes close to Atkins in terms of melting off large amounts of body-fat in a short period of time. And if for just one short minute, all the Atkins-haters could put down their stereotypes about pork rinds and cholesterol and bacon and the threats of cardio-vascular disease and the cheddar cheese and sausages and the grease… We can take an honest look at what Atkins really saying. Let’s take a look at Phase 1 or the Induction Phase of Atkins’ plan. For 14 days, you eat only 20 grams or 80 calories of carbohydrates. You can have as much protein and fat as you desired, but only 20 grams of carbs. What does that mean? What can you eat? What should your meals look like on Phase 1? Specifically, what kind of carbs could you eat on Phase 1? And how much of those carbs can you get for your daily allowed 20 grams? 400 radishes, or…well you get the point. 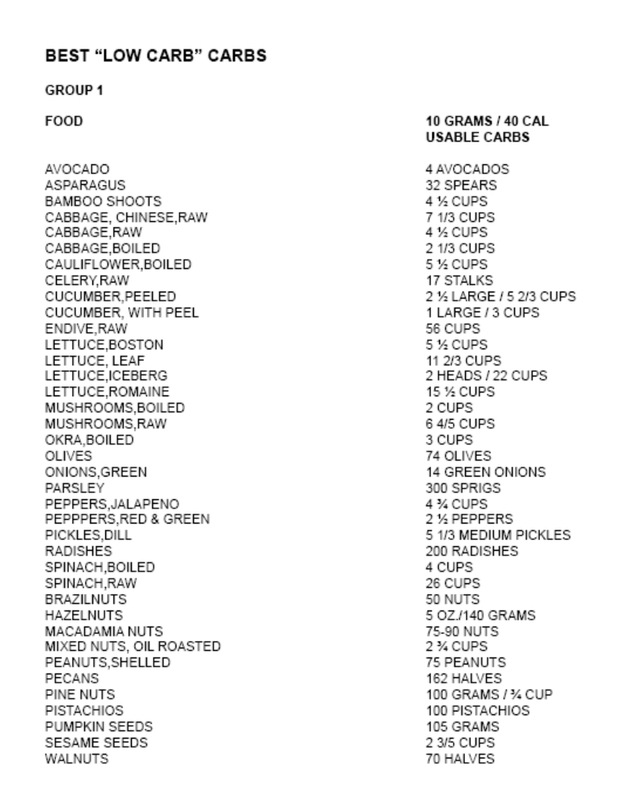 44 cups of lettuce…that is a lot of salad…all for just 20 grams of carbs. So…what happens after the 14 days of low carb hell that old Doc Atkins just put you through? 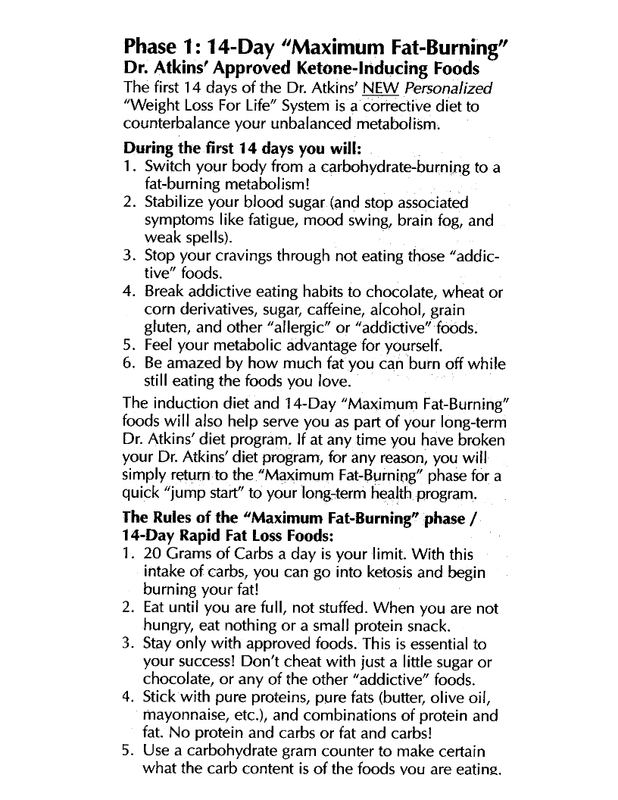 Next Page…What happens after the 14 days of low carb hell? 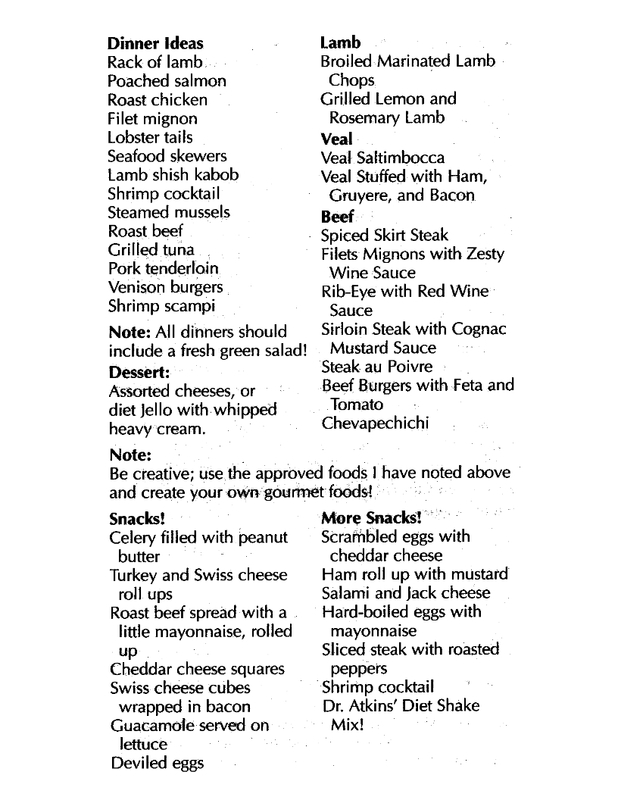 Page 2 – What happens after the 14 days of low carb hell? I not only lost weight on Atkins but my overall health improved dramatically! – I used to suffer from headaches almost daily and through Atkins GONE and it’s been years now. My blood pressure came back to normal after being way too high, my cholesterol is also better! 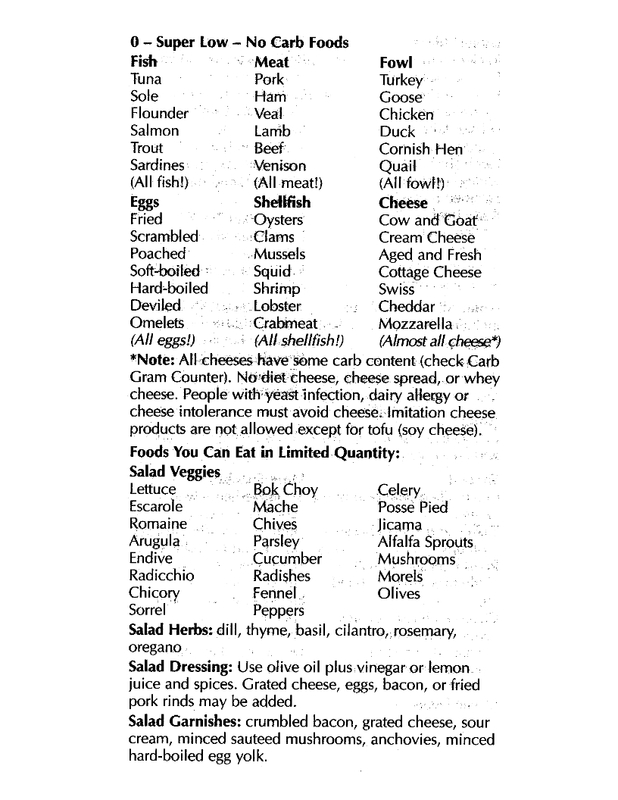 Atkins makes perfect sense – All of these carb rich foods are NOT what our ancestors would have eaten they would have eaten mostly meat and some vegetables since in nature (without stores etc) meat is much easier to come by than cultivating veggies or fruits. Atkins is perhaps the best thing that i’ve ever done health wise. I’ve learned that anything that gets pushed in the media as good – reverse it. So how do you explain all of the studies and research which shows that diets high in animal protein (meat and dairy) drastically increases the risk for heart disease, cancer, diabetes, etc.? I mean, refined/processed foods of any type are obviously killers… and more veggies are totally good… but whole grains (not bread, but whole grain) are the cornerstone of not only the best modern diets for health but also every traditional culture for thousands of years. After tons of research, experimentation and observation – there is no doubt that the best diet for the average human is heavily plant-based. Not necessarily vegan… and not necessarily “carb heavy”. Greens and veggies are extremely important, and you can’t eat too many. After reading your series here (Atkins redux), it seems that your focus is on weight loss. While it is true that an atkin’s style diet does help reduce weight quickly in the short term, studies show that after a year, the results are on par with a traditional low-fat diet. And this says nothing about the long term health effects of eating a diet high in animal protein. With 2/3 of Americans either overweight or obese, it is clear that something needs to be done… but focusing on the short term weight loss over the long term health is literally short sighted. I am willing to be wrong on this – but where is the research? Where are the peer-reviewed studies to back up the claims? Where are the long term studies to show the likely effects of eating this way for a decade? Honestly, I think it is irresponsible to recommend a diet of this type. While I appreciate your notes to consult a doctor, and your admittance that many people don’t do it properly (which is true), this is only serving to encourage people to continue eating poorly and kill themselves one bite at a time. While I don’t see 100% eye to eye with Taubes, his is the most complete argument in favor of excessive carb/sugar intake as a driver of poor health & obesity. And unlike the vegan’s most popular piece of research – The China Study – Taubes doesn’t rely on observational studies. In regard to grains being the cornerstone of many traditional diets…I agree to a point. The consumption of grains occurs only fairly recently in the evolution of homo sapiens. And for cultures concerned with lack of food, grains are super important. Fruits & vegetables can not be stored like grains can. However, we live in a society where scarcity is not an issue. We don’t NEED grains. Because of this, their importance to our survival has been negated. 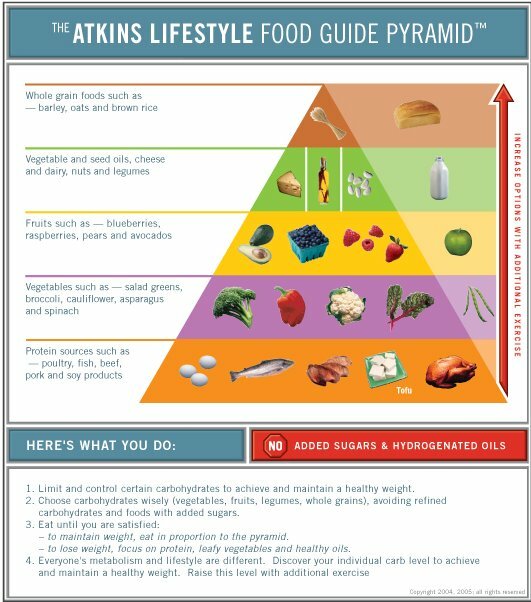 Regarding your specific concern for Atkins, most criticisms of the diet focus on the induction phase of the diet and ignore the following phases which introduce increasingly higher levels of carbs/sugar as the dieter’s insulin sensitivity improves along with their fat loss. Adherence to just about ANY diet will work. Long term weight maintenance depends on long term adherence, and that’s where Atkins fails. Blame people for being ‘sugar junkies’ if that helps defend your chosen program, but a diet that is THAT hard to maintain, even if it technically works, is a failure in the end.